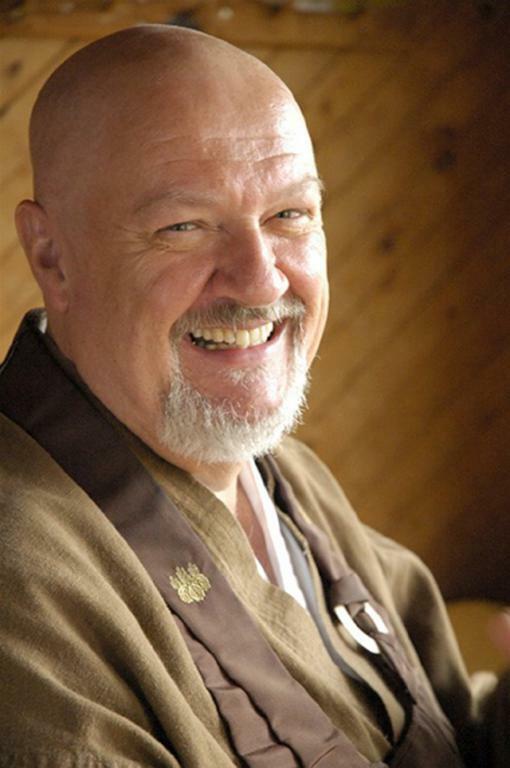 Taiun Elliston, Roshi began his engagement with Zen in 1966, when he met Rev. Soyu Matsuoka Roshi, founder and head teacher of the Zen Buddhist Temple of Chicago. He practiced Zen under the guidance of Rev. Soyu Matsuoka Roshi in the mid 60s, after becoming his disciple and he later founded the Atlanta Soto Zen Center (ASZC) in the 1970s, of which he is the current Abbot, and which is one of the largest and most active centers for lay practitioners of Zen in the United States today. In 2010 he and his senior students incorporated the Silent Thunder Order [STO], a network of priests and disciples leading the practice of over 20 Zen centers and practice groups in the USA and Canada. Please join us in Evanston on June 3rd at 2PM for a public talk / dialogue by Taiun Michael Elliston. Taiun, Roshi will offer his thoughts about the challenges which confront all of us and Zen’s approach to understanding the conflicts and sufferings we encounter in our 21st century world. Rather than a lecture or pedantic presentation, Taiun, Roshi would encourage those attending to enter together into a dialogue about these matters that affect us all. With that intention in mind, we would encourage you to offer your questions or ideas. If you wish to do so in advance, please email your thoughts or call 847-721-0665.